Work on the stainless steel prototypes have been moving along slowly. The bikes, the Pave and Velo Routier Stainless Steel have been out in the Pacific Northwest and are presently at P.T. Cyclery in Port Townsend, WA. where you can test ride them and give us some feedback. We will be building a second set of prototypes this fall. It has been three days now since I last swung my leg over Cycle Toussaint prototype bike the PAVE’. I still can feel the yearning of both myself and the bike to see what is beyond the next mountain. Where would this road or trail go? Can we do that downhill part again but even faster? I know to some it is hard to think of a bike having a soul but this one does. For me I was immediately connected to the Pave’ on my first trip. 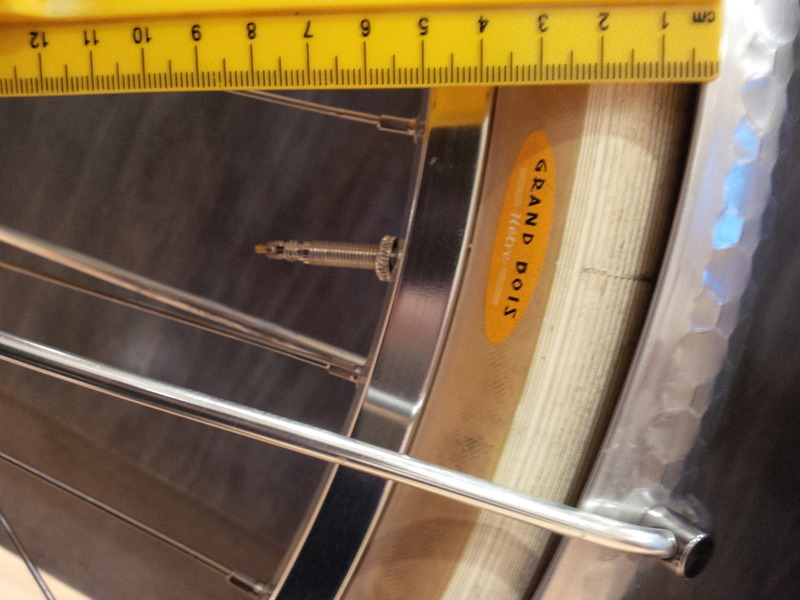 Granted I had some concerns about the rear wheel being only 24 spoke. Alas I am getting a head of myself. Let me tell you how this all came about. A few weeks ago I was in Port Townsend, WA with my wife. Naturally I stopped into PT CYCLERY to chat with Bob the owner. I had bought a road bike from him because my commute/mountain bike just could not give me the need for speed that I was desiring. Well, along the wall stood this bike. At first it reminded me of bikes I had seen built in some ones garage with whatever they could find and use for parts. I myself had taken my Stingray, to us we called them Cheater Slick bikes and extended the forks to give it more of a chopper look. Needless to say we had some interesting accidents. Then I realized this was nothing like those bikes. It was funky yet in a very cool way. I loved the plates on the seat stay and forks. That and the fact it was stainless steel caught my attention. Bob let me take it for a quick spin. Those few minutes was all it took for me to realize there was more to this bike beyond just the cool look and white tires. After returning the bike I later wrote to the guys at Toussaint and let them know what I thought. Soon after Bob texts me and offers to let me take it out for a real ride. I asked if he was joking because he could end up losing the bike. He was serious. So we made plans for me to pick it up when spring break starts. That way I had most of the week to put the bike through its paces. Let me tell you after 186 plus miles and almost 7000 feet of elevation gain I just touched the tip of what this bike is capable of doing. This with me a Super Clydesdale riding it! For those who don’t know there is basically three type of rider sizes. You have normal. Clydesdale which is anyone over 200lbs to about 250lbs. Then the Super Clydesdales who are over 250lbs and we break things a lot. 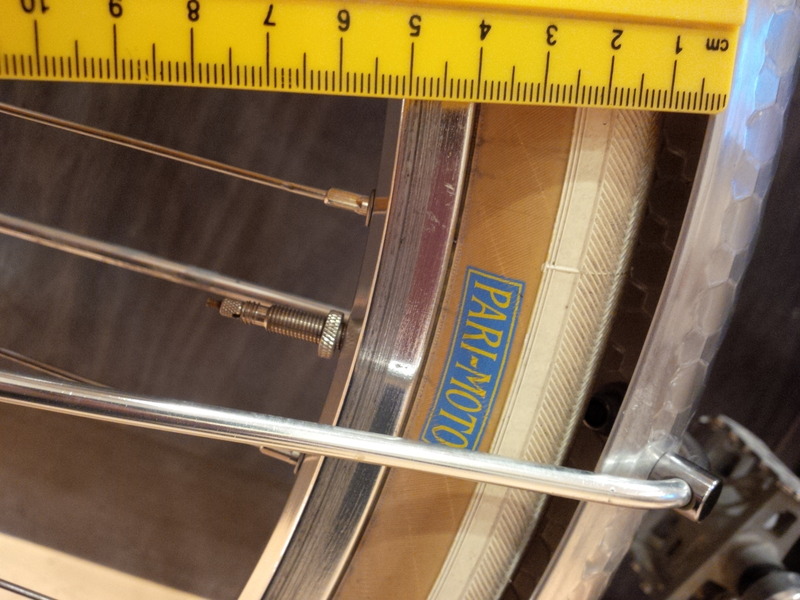 I am at around 270lbs and my local bike shop can attest to the fact I am hard on rear wheels among other things. Thus the reason I was tentative on my first ride. I soon realized I had nothing to worry about. This bike would take me where ever I wanted to go and still be up for more adventures. I did group rides hanging with the lead riders. Went up dirt roads in the mountains just to come screaming down paved roads hitting speeds of over 40 mph a couple of times. Took on head and side winds like they were a slight breeze kissing my cheek as others struggled to keep their bikes steady. When I needed more speed I got it instantly like a guy using his heels to urge his horse to go faster. Again this with 32mm knobby tires. I am not going to get into all of the technical things on this bike, but I can tell you from the stand point of a Super Clydesdale if you wanted just one bike to do it all for you this is it. Rather than buy several bikes for road, CX, gravel, touring or whatever all you need to do is buy tires. The stainless steel frame and carbon fiber handlebars helped to make the ride very comfortable. Having disc brakes was also a huge plus. Oh, did I mention the bike weighed around 22lbs? One last thing. This goes out to Bob of PT CYCLERY. You mentioned that every bike/steed should have a name. Well I gave it some thought and came up with the perfect name, Barnabas Sackett. For those who know anything about the western writer Louis L’Amour you will recognize and understand why. If not let me quickly explain. In a series of books L’Amour wrote about the Sackett family. They were strong dependable people who you could always count on when the going got tough. They were also adventurers always wanting to find out what lies past the next mountain, what awaits beyond the next bend in the river. They also took no BS from anyone. So Barnabas Sackett is the perfect name for the bike. Just call it BS for short because it won’t take any. Thanks again for allowing me the privilege of riding a great bike and one I know will always hold a place in my heart and soul. David will be riding the Pave prototype again September 24th is the Big Hurt competition in Port Angeles and the bikes will heading back home to Calgary. So I pull up to a stoplight, and there’s a rider on a $9 000 carbon road bike admiring his reflection in a shop window. He sees me pull up and does a double take but says nothing – just fixes his gaze forward. Whatever, I’m used to it. My name is Jacques and I’m a Cycles Toussaint Velo Routier. I understand everyone’s confusion. My brothers and sisters and I all have the looks to be café poseurs – gumwall tires, cream paint, retro drop bars, polished stainless racks front and rear. But, my gumwalls are covered in road grime, my rear rack has a mixed luggage set of a laptop bag and an ancient serratus pannier full of office clothes. My front rack has a $10 Rona tool bag bungeed to it (this was added when Mike, my rider, realized I like to have my load balanced front to rear so tools, raingear, tubes and lock now ride up front). See, while I have the looks, in fact, I’m a working bike. Sure, I’d like to go on epic rides through rolling green fields of Provence, Tuscany, or anyplace that is evocative of Provence or Tuscany. I’d like to climb the Alps, Rockies, or Green Mountains. But, for now, I cruise the mean streets and bike paths of the Toronto as a commuter. Sorry of this seems immodest, but I’m pretty good at it. My frame and racks can carry the gear, my fenders keep rider and stuff clean when it rains. A compliant frame and big cushy tires soak up the cracked pavement. In many ways, I have more in common with the slick shod mountain bikes with whom I share the paths than the carbon road bikes and hipster fixies (note – nothing wrong with either, I’d share a garage with any bike). What I have over the mountain bikes is legs – I’m leaner, lower, smoother. While my heavier frame and tires means I can’t accelerate like those fancy road bikes, I give up little or nothing in terms of rolling resistance and aerodynamics. So, when there’s a clear path ahead, I can stretch out and pick up a gear or two. Speaking of gears, one thing my rider did that hurt the show but helped with the go was to install a set of Microshift integrated shifter/levers. I know, not retro and the black hoods meant the crème bar tape had to go. But, dodging potholes, cars, pedestrians and slower bikes in the city, keeping hands on the bars while shifting matters. They work well and I overhead Mike telling another rider they shift almost as smoothly as the Ultegra STI levers he had on his old race bike. Smooth matters. You can read about the theory that a more comfortable (bigger, less inflation pressure) tire saves the rider energy on bumpy surfaces. There is something to that. But, there’s also something psychological. Let’s face it, much as we hate to admit it, bikes make little difference – it is all about how much energy the rider can / chooses to expend. And, I’ve noticed that when things are smooth (tires inflated just right, clean chain, rolling along like some great flywheel), my rider puts in a little more effort. It is subtle, but, KM after KM, it adds up. See, in addition to hauling the gear through frost heaved streets and distracted drivers, my job is to make it a joy to ride. The better it feels, the more my rider will make time to ride, the harder he will push, and the stronger he will get. Then, maybe, just maybe, he’ll take me on that vacation to Tuscany, or Provence, or someplace like that. My name is Jacques. I’m a working bike, but I have dreams too.